We’ve been featured in the Daytona Beach News-Journal / Flagler News Tribune! 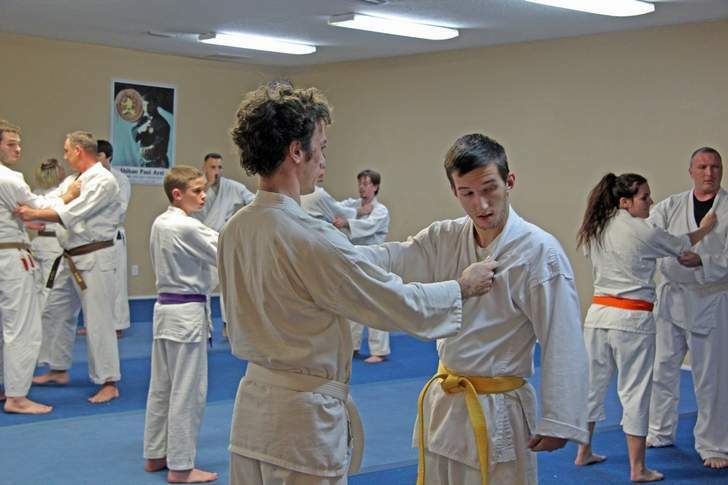 Check out this feature on the Jukido Academy and the art of Jukido Jujitsu! Yellow Belts & Higher – Is Your IKA Membership Current? All members of our dojo (and every IKA dojo worldwide) are required to join the International Kokondo Association – the art’s global governing body – after their first rank evaluation. Membership is renewed annually from the month of initial association membership. Although most members are current — there are number of people who have either yet to initiate their membership (at yellow belt) or have allowed their annual membership to expire. If this is the case – NO BIG DEAL (as long as it is addressed)! Simply stop by the dojo (or via email) and we’ll provide you with the renewal form. Once renewed we’ll be sure to provide you with your updated official IKA membership card and the official English/Japanese certificate of your most recent rank promotion. Membership to the IKA is among the most affordable and modest of all the major international martial arts organizations. It is a requirement for all dojo members yellow belt and higher (including instructors of all ranks). Black Belt Members: Please note that upon achieving black belt – your IKA membership switches to IKA Yudanshakai (black belt association) membership. These are renewed at the beginning of the year and run from January to December. Those recently promoted are permitted to wait until Dec/Jan to renew their IKA membership with the world headquarters. A schedule of black belt classes at our home dojo is available at the dojo or via email newsletter. Black belt classes at Honbu (world HQ) is available at kokondo.org. Are You on Facebook? Have You “Liked” Us? Subscribed? Make sure you “like” us on Facebook. Feel free to write a review as well! These reviews and “likes” go along way in helping ensure our dojo remains highly visible online. We need all of our members and Jukido parents to be the ambassadors for Jukido Academy within the local community. Of course, we are HIGHLY active online via our website, Facebook, and YouTube. Be sure to stay current with us via our various online media by “liking” us on Facebook & “subscribing” on YouTube!